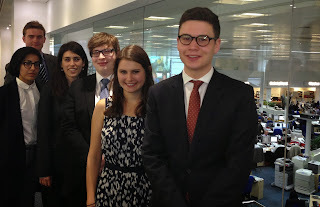 Yesterday I said farewell to the latest Telegraph editorial trainees. After seven weeks at Press Association Training's Manor House in Howden, East Yorkshire, they finished by delivering a multi-media presentation to the paper's executives in the Telegraph's London newsroom. 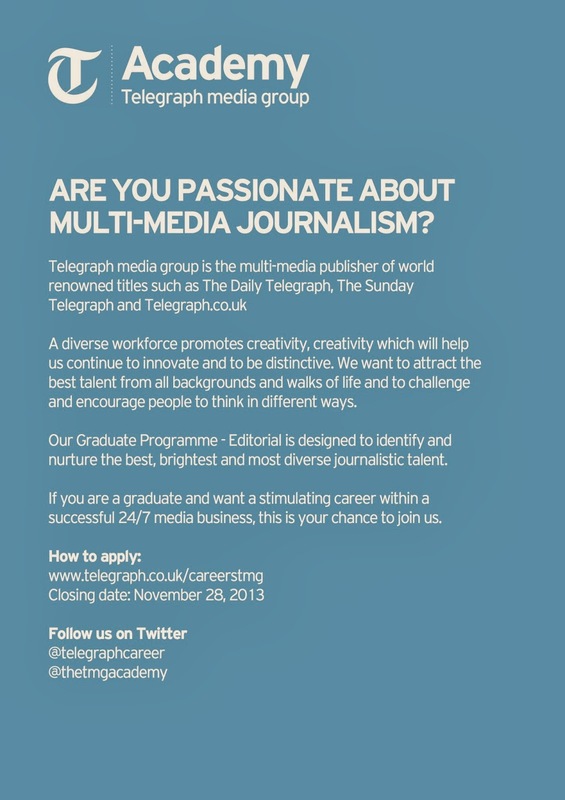 They are now off to placements on big regional dailies and PA before returning to the Telegraph next year. Meanwhile, the hunt for the next intake has begun. 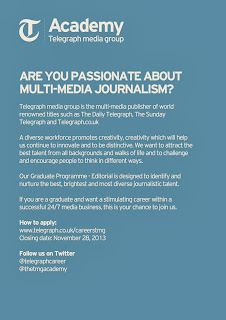 If you are looking for a career in journalism with the Telegraph, you have until November 28 to apply. The training starts in September with seven intensive weeks designed to equip the trainees for life in a multi-media national newsroom. The full details are here. You might also take a look at an interview with former trainee Jonathan Liew and there are some general interview pointers here. Good luck.